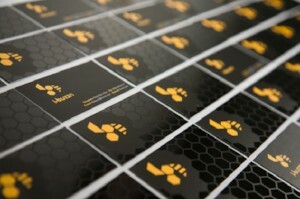 Bestype offers high-quality business cards to help you leave a lasting impression with potential clients. Business cards can be printed on the in-house offset printing press, which uses traditional ink on high-quality paper to create a business card worthy of your brand. Digital Printing for your business cards is also available if you are looking for something on a budget but do not want to compromise quality. A variety of finishing options are also available from custom cutting to rounded corners and lamination.